Viral content. It’s the big search engine optimisation (SEO) trend. SEO salesmen used to sell links and keyword-stuffed content, but Google has long since put a stop to that, banning websites that use those “black hat” techniques. 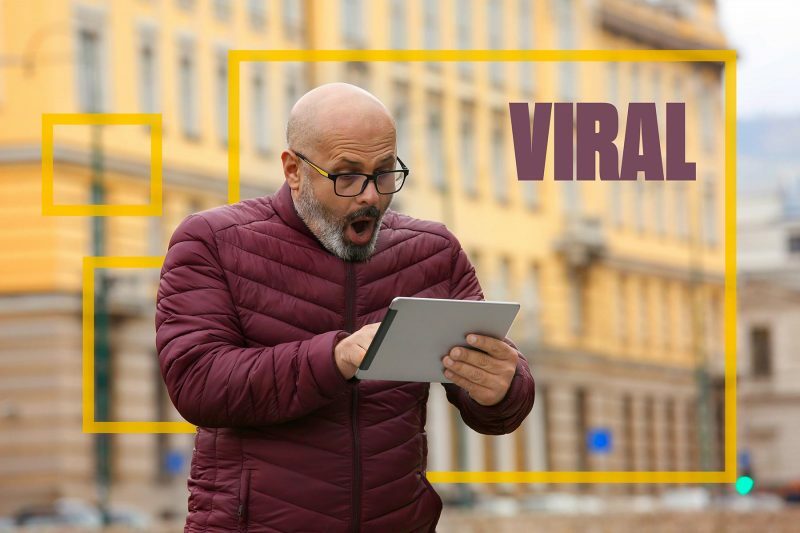 Now those salesmen convince businesses that they can “make their content go viral,” and they often do it through purchased clicks. Even if that doesn’t rub you the wrong way, logically you know that’s not going to get your business anywhere. If your content goes viral because people actually like it, now that gets you somewhere. Now, there is no trick to getting content to go viral. But you can certainly increase your chances by creating outstanding content. Your audience is human. Human beings want people to like them. Human beings want people to think they’re smart. Help them with that, and you’ll attract raving fans. Write quality content – content that has good grammar and spelling; that flows well from important point to important point (otherwise known as good structure); that is well researched and isn’t riddled with mistakes. If sharing your content reinforces a person’s self-image (that they’re smart, fashionable, hip, green…) and the content high quality, that person will share it, even if only to make themselves look good. Going back to helping people reinforce their self-image, if you write something interesting – something that teaches the reader something or gives them something to talk about – you drastically increase the chances of that content going viral. Think about it. When you are trying to convince your partner of something, you send them articles proving your point, right? Say you’re trying to get your husband to stop smoking. You’d send him content about how bad smoking is for him. Or if you’re trying to convince your girlfriend to be more adventurous, you might send her articles on rock climbing in Moab. We share things that interest us. You send content to people who already share your views, too. You probably send articles about your interests to your like-minded friends and colleagues all the time. They probably send interesting content to you, too, about passions that you share. All of that goes back to how human beings reinforce their self-image by using content to educate people about the things they care about. Make your content interesting, and it will get shared. Writing for the web is drastically different than writing for print. Drastically. Besides the web being a completely different medium, your web audience has completely different reading habits. Their attention span is shorter. They skim more. And there are so many distractions all around the periphery – so many other links and banners to click on. You have to capture the audience’s attention, keep the audience’s attention and make it easy for the audience to slide their eyes over the page. Our eyes focus first on the center of a web page (another reason a great headline is so important!) and go down from there. We lose focus toward the end of longer piece of writing, and we only glance at the content to the left and right. Headlines and sub-headlines are guideposts to readers, and should both tell a story in themselves and make a promise that the body text delivers on. Bullet points and numbered lists help drive home important points and give step-by-step instruction. Shorter paragraphs make for easier reading. Get that rule you learned in high school English out of your brain – a paragraph does not need at least three sentences. Not on the web. White space gives the reader’s eyes a rest, and color draws attention to important sections. Indenting sections is also another way to call them out as important. Many people indent long quotes or tweetable text. Images are a great way to make content more shareable. Not just because they make your post more visually appealing, but also because it makes the content show up nicely in social media. Think about your Facebook feed. Aren’t you more likely to share a post that looks cool? Every piece of content should include sharing buttons to make sharing easy. If the audience doesn’t have to copy the link and go over to their social media platform of choice to share it, if they can just click the “share on Facebook” button, they’re a lot more likely to share it. Make your content pretty and easy to share with social media buttons, and boom. The likelihood of it going viral just went up a notch. The trick is that there is no trick. Google is not some mindless robot (even though they have “robots” scouring the web for content). Google is a bunch of really smart guys who want to serve up the best, most meaningful content to search engine users. If you try to trick them, eventually they’ll get wise to it. If instead you try to give them that quality, meaningful content, they’ll be one of your most attentive audiences.